This year start your Bloomsday journey at EPIC The Irish Emigration Museum in association with Bakehouse. This special Bloomsday Breakfast and Tour will provide a heady Joycean feast for the senses! Begin at Bakehouse, Irish comfort-food specialists, where you can relish a full Irish buffet breakfast, and for those more adventurous, some mutton kidneys! Costumes are encouraged and spot prizes will be offered for the best dressed. 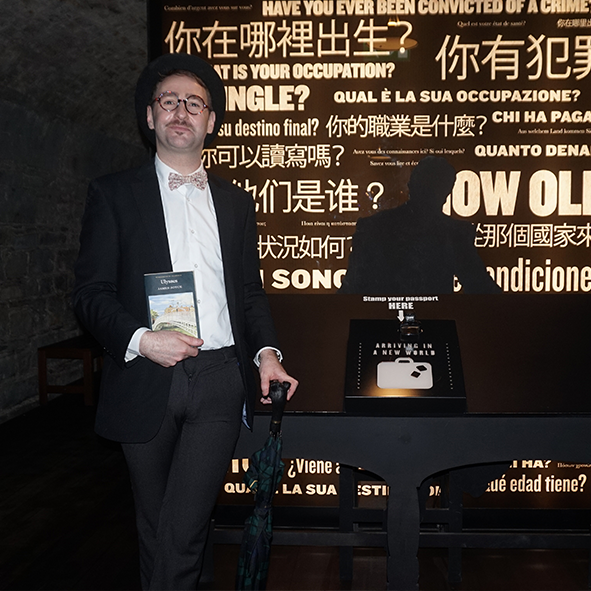 After you’ve satisfied your appetite, our Joycean tour guide in residence will whisk you downstairs to the atmospheric vaults of EPIC the Irish Emigration Museum, Ireland's only digital museum, where we'll follow in Joyce’s footsteps across Europe.